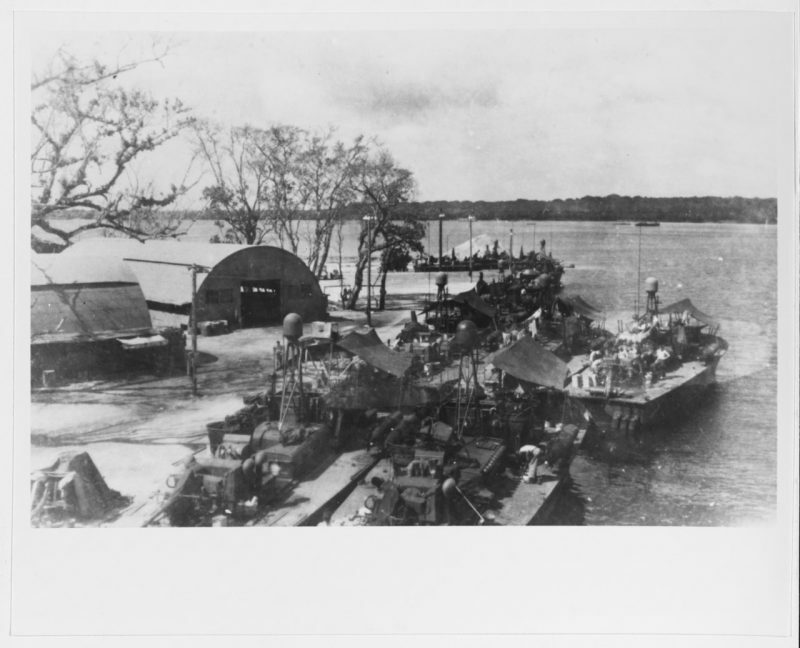 The final invasion of the SW Pacific area was made on 1 July, 1945, when troops of the 7th Australian Division were landed at the oil port of Balikpapan in SW Borneo. 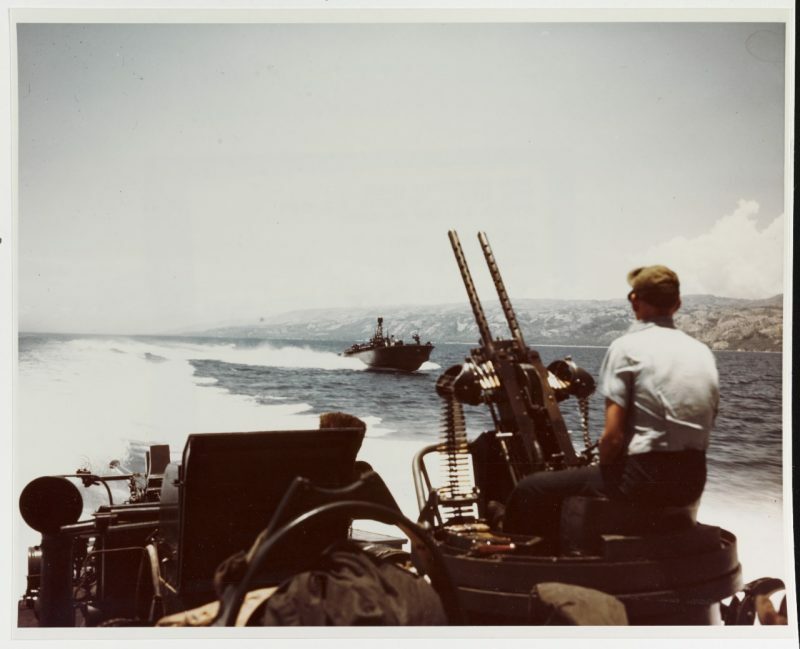 The amphibious attack group commander wanted PT boats patrolling the beachs beforehand to prevent the enemy from erecting obstacles. 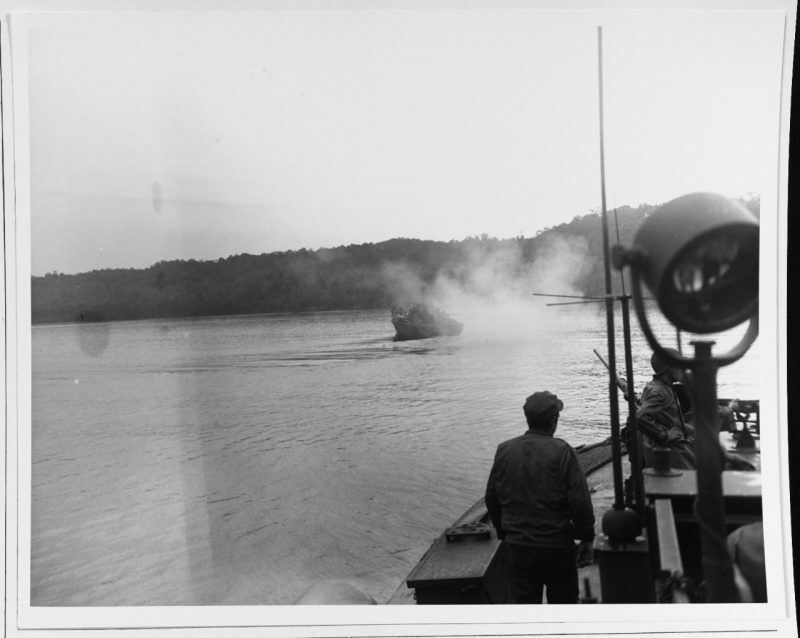 Accordingly, 4 Pt’s of Squadron 10, 4 from Squadron 27 and the patrol boat tender USS Mobjack, under Lt. Cmdr. Tappaan, were dispatched. They strafed and rocketed the beaches to keep the enemy away. The Varuna arrived with 8 more PT’s and the task unit was brought to full strength with the arrival of 7 more boats. On the night of 9/10 July, Lt. A.W. Allison’s PT-73 and Lt. C.S, Welsh’s Pt-359 were sent to destroy a reported enemy radar station on Balabalagan Island. 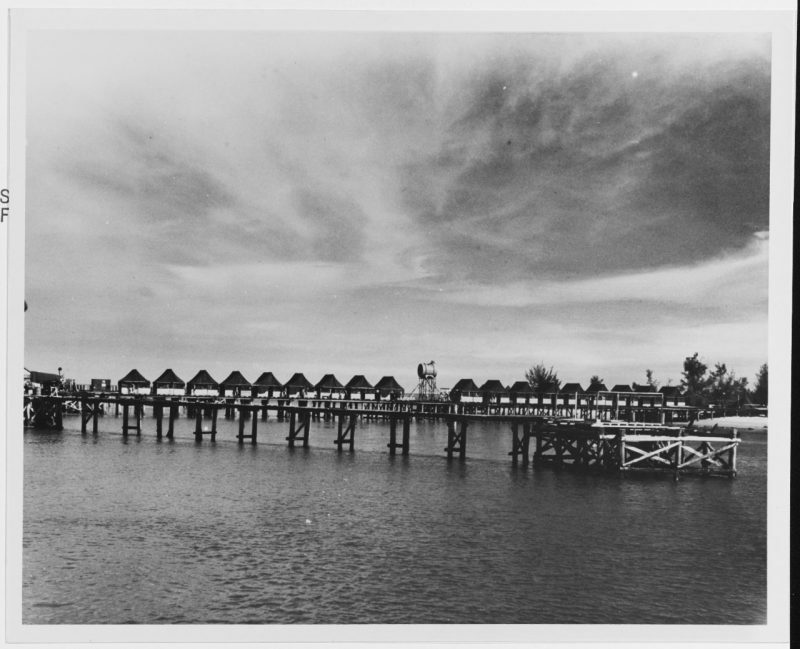 The boats did a thorough job of strafing huts and buildings and 130-foot tower, in the face of machine-gun and rifle fire. When PT boats 163, 167 & 170 returned to the island, they found all enemy equipment destroyed, 6 fresh graves and one dead Japanese soldier. The western coast of Celebes was where the PT boats found Japanese shipping. On 22 July, Lt. Roger Waugh in Pt-163, Lt. Baker in PT-174 and Lt. Harrison’s PT-170 made a daylight strike on Paloe Bay, Celebes, along with RAAF Kittyhawk fighters. The combined effort destroyed 4 prahaus, damaged a hotel, dock and many houses in Dongala town. The fires could be seen 30 miles out at sea. The period of June to July 1945 was characterized by the disappearance of PT targets around the SW Pacific except for Morotai, where the boats continued to encounter small enemy craft because of the static land situation and large enemy concentrations on Halmahera. As the Philippine campaign drew to a close, plans were made to transfer squadrons and tenders from the 7th Fleet to the Pacific Fleet for operations in the north. The original plans for the Japanese invasion, Operation Olympic, did not include PT boats, but the Commander Amphibious Force Pacific Fleet asked Commodore Bates to submit a plan for the use of 200 along the Japan coast. Posted on November 29, 2018, in Uncategorized, WWII and tagged 1940's, History, Military, Navy, Pacific War, PT boats, USA, veterans, war, WW2, WWII. Bookmark the permalink. 77 Comments. Correct on both counts, Curt. Many think it was ply wood being as they were considered “expendable”. I know – try to buy it nowadays!! Ik had verwacht dat die Pt boten erg groot waren maar lees hier dat ze dun en klein waren dat had ik me dus helemaal fout in geschat. Ze waren meestal 77 voet lang en meestal gemaakt van mahoniehout. Catch up was impossible this time, GP, so I am diving back in again, and hoping the rest of this year is quieter. Thank you, as always, for posting these stories. Michael’s tree is still doing well, and has been netted for the winter to discourage deer. Thank you for your return visit, I know how busy the farm and its residents keep you, so not to worry. Priorities come first. I thank you very much for the up-date on Michael’s tree – I was just looking at my pictures of it yesterday. I want to get a series of frames to show its development. You are a sweetheart, Lavinia!! Humans have made it a never-ending part of their character. Ah, one of my favorites! Greg Papa Boyington!! Out of all of the dangers of WW2 naval warfare, I think being a crew member on a PT Boat is the scariest to think about. No thick metal hull to try and keep you alive. Not much more than a model boat, eh?! Thanks for dropping by, Kevin. Somehow, it’s sadder to hear about stuff like this happening so close to the end. Tour piece also brought home the countless different wars fought, all over the world; each one unique. 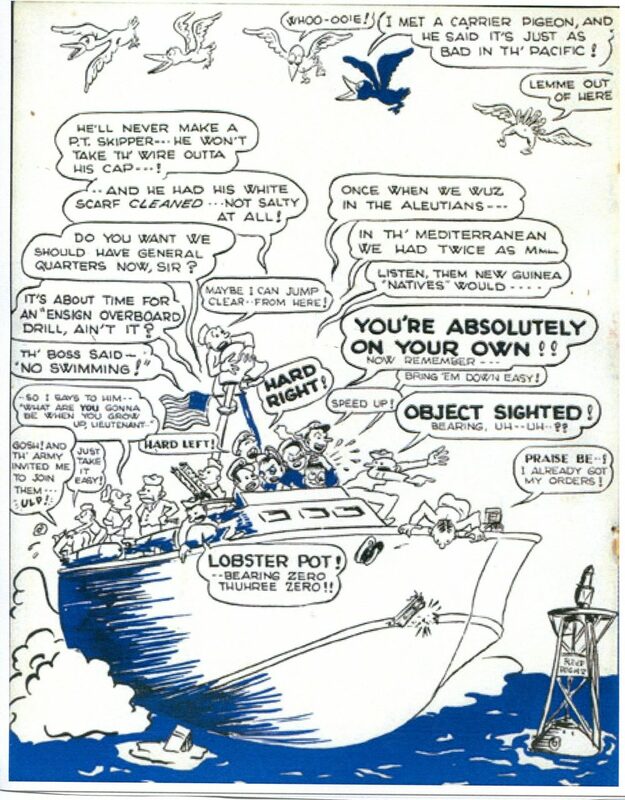 I only have one association with PT boats — PT109, of course. Where was JFK in all this? JFK had been sent home and Papa Joe got him a job as a journalist. 29 July 1945, JFK wrote the article “Eamon de Valera Seeks To Unite All Ireland” for the New York Journal American. 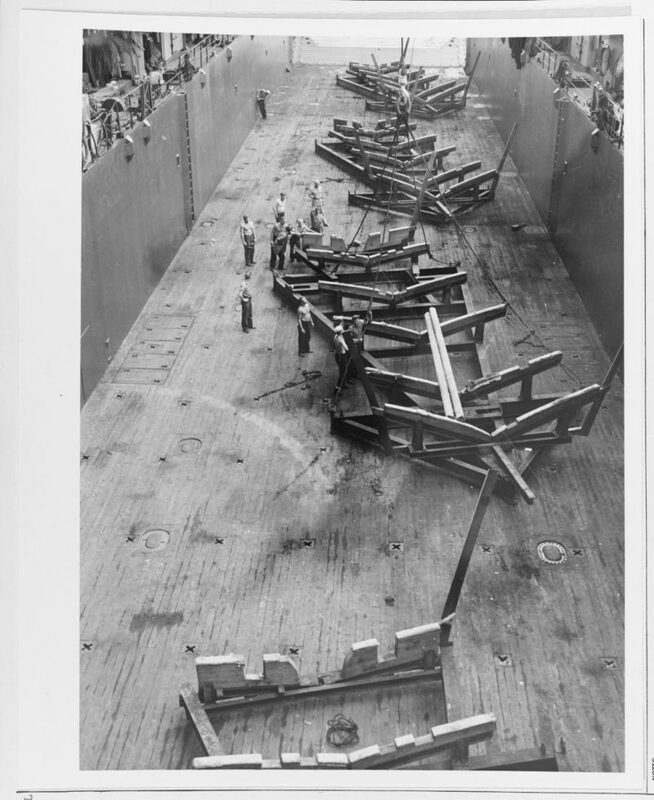 Plywood PT boats and gliders…. Amazing what we used to win the war and how exposed and brave men had to be to carry the fight to the enemy in those fragile craft! So true, Doug, I agree. I didn’t want it so large and imposing, but I couldn’t seem to edit it down. Ah-ha, I forgot about that! Thanks, Derrick. It’s getting towards the worst part of the war. The period towards the end, when the enemy, as one comedian used to say. “is dead but he won’t lie down”. 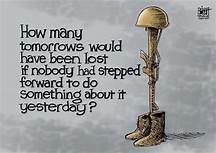 Nobody wants to be a casualty then, and what tragedies for those who fell in the last few months. I agree. Those last ones seem to linger in the back of our minds. Every year, there’s an antique car and wooden boat show here at the yacht club where I do most of my work. There’s always some sort of military vessel included, even if it’s a modern Coast Guard cutter, but now and then a PT boat shows up. I can’t remember the boat’s number, and I can’t find a photo from a past show, but it was so interesting to see. If one shows up in a future show, I’ll get some photos for you. That’s good to hear. I’ve occasionally seen private PT boats on-line, but like you, when I go looking for them – they’re no where to be found. I can’t imagine being in those small PT boats and trying to attack targets bigger than themselves…those warriors have my respect! Glad to hear it. They were a brave bunch! Amazing amount of destruction considering they were not on land but in the water. They had quite a bunch of men!! 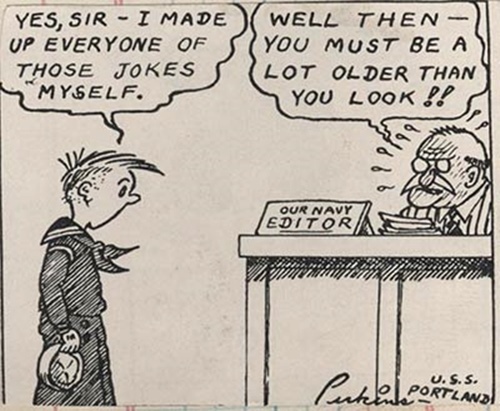 My scout leader was a PT Boat Commander. He was hit with three 50 cal. bullets and his boat exploded. He was very lucky to survive. Whoa! I’ll say he’s lucky – I make him a constant companion! We have one of those WW2 vintage PT boats down the street in Fall River, at a place called Battleship Cove. It’s a fascinating place, if you ever find yourself in southeastern coastal Massachusetts. I would love to see one! I will definitely keep that in mind!! Thank you. I don’t know if it’s true or not but Battleship Cove advertises itself as having the largest collection of World War II vintage military vessels, in the world. It’s quite possible. They continue to save aircraft, but very few boats and ships. I always had a real fascination with PT boats. As a kid, I thought it would be really cool to get plans for one and build it as an extremely awesome pleasure craft! That would be neat. I saw one once on line, but I believe it was destroyed a few years ago. Thank you for sharing this data. Sir, thank you for the history lesson, I am going to reblog this article for you. I’m glad you found it interesting. That is ominous–six fresh graves and one dead Japanese. I’ll draw my own conclusions. I’m afraid you’d be right too. Thanks for dropping in, Jacqui! I would imagine a large group of those boats could be quite intimidating. I know I wouldn’t want them buzzing around me as the enemy! I always found the idea of those small gun boats so frightening. It makes life feel so fragile. Thanks for another insightful post, GP. Hugs! As I mentioned to Pete, they were considered expendable, but proved to everyone just how important they could be! Guess PT duty was not quite as hazardous later in the war, since this report does not mention damages or casualties. Interesting read. They still had plenty to do, despite what is in this article, but you’re right, far less that in 1944. Now that I took a trip back, I did read that post. Jeez, old age memory is for the birds! Thanks for including it here! Army Capt. Andrew Patrick Ross, 29, of Lexington, Virginia. Army Sgt. 1st Class Eric Michael Emond, 39, of Brush Prairie, Washington. Air Force Staff Sgt. Dylan J. Elchin, 25, of Hookstown, Pennsylvania. I just came from editing the post to include them, but the article I saw had Sgt. Emond from Boston. Thank you, I’ll need to correct it. When you get close to those motor torpedo boats, and realise how small and flimsy they were, it just increases the admiration for the crews that fought so bravely in such tiny craft. Agreed!! They were considered expendable, but they proved just how valuable they really could be!! I’m honored you consider these articles worth reblogging.